If you’re starting the new calendar year without everything on your technology wish list, you’re in luck! The 2018 TCEA Convention & Exposition vendor list is updated and ready for your perusal. From integration ideas to clever classroom applications, get ready to get all your tech questions answered and compare tech solutions in our one-stop marketplace for educational technology. Bring your entire team to Austin this February to divide and conquer the vast exhibit hall floor or spend all day together exploring and evaluating solutions from administrative software and disaster-recovery providers to network hardware and more. New this year, you can find schedules for exhibitor presentations hosted in the booths in the 2018 TCEA mobile app. 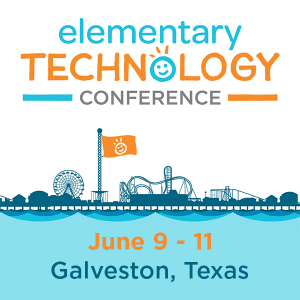 Get in-depth information from experts representing the top ed tech companies from around the nation and meet your local representatives who will support your integration needs. Chances are you’ll discover a product or strategy you didn’t even know existed! You can download the mobile app to create a personal itinerary, access special promotions provided by vendors, and store notes for follow up. Whether you are just dipping your toes into game-based learning tools, working with your students to create 3D models, or responsible for managing your district’s network – your passion matters when it comes to successful technology integration. At the TCEA Convention & Exposition you will find everything you need to transform learning. With more than 1,110 sessions in a variety of presentation formats that cater to educators at all levels and in all roles of education, you can design the learning experience that’s right for you. And that’s only a taste of all the incredible opportunities available. You can view all presentations and hands-on workshops here. Each is aligned to a strand and categorized by additional content-specific tags so you can focus on the topics that matter most to you and further tailor your convention experience. Not registered yet? There’s still time to sign up to attend before the Late Registration pricing begins on January 11. You can register to attend the exhibit hall only, which includes the opening reception on Tuesday, vendor-hosted presentations, and access for all three days, for only $79. Or register for the full conference to take advantage of the stellar keynotes, recognized featured presentations, interactive learning spaces, and premium content. The solutions you’re looking for to transform your classroom, school, library, or district in 2018 and beyond are out there—and this February, they’re all available in one place.